What are Crawl Space Encapsulation and Mold Remediation? What does a Mold Inspection do? These are common terms in the Mold Remediation / Mold Removal Industry here not only here in Greenville, SC, but throughout the United States. Crawl Space Encapsulation is a term that refers to when after performing Mold Testing, Mold Inspection, Mold Remediation and Mold Removal, the Crawl Space Encapsulation is often deemed necessary. Crawl Space Encapsulation is just what it says; encapsulating a Crawl Space. This is done by performing Mold Testing and Removal and follows up by sealing or encapsulating Crawl Spaces. All openings are given attention by sealing all gaps, vents entry and exits as well as sealing all the ducting housed in the Crawl Space. Prior to Encapsulating Crawl Spaces, H.V.A.C. units are inspected and cleaned. Although this should be done on a regular basis, often time’s homeowners do not or cannot go into their Crawl Space and inspect their plenums/air handlers and H.V.A.C. network of ducting. Water Damage is often a contributing factor to Mold Remediation. Mold cannot grow without water. As I have stated in my previous post, up to 56%, (fifty-six percent) of the air in your home with a Crawl Space comes from the Crawl Space. This is called the stacking effect. Once all openings are sealed, a dehumidifier is placed in the Crawl Space to maintain a safe humidity level. The Dehumidifier has a Thermostat which turns it on when humidity exceeds fifty percent. Once in the Crawl Space, the dehumidifier is fitted with a drain that runs out and away from the Crawl Space making it maintenance free. After the Crawl Space has been decontaminated and sealed or encapsulated, a vapor barrier is installed throughout the Crawl Space. This helps to maintain lower humidity and moisture levels. Excessive Water Damage is a big factor that eventually requires a Mold Inspection, Mold Testing, Mold Remediation and Mold Removal. 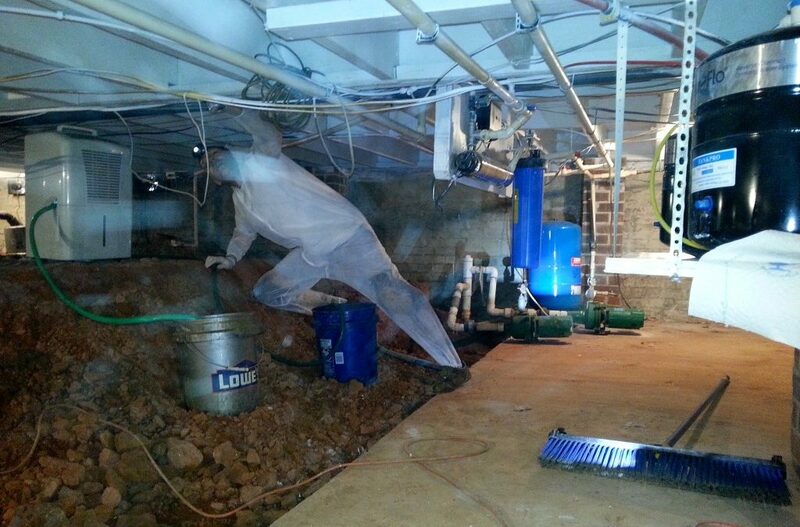 Not all homes have Crawl Spaces, but the majority do here in Greenville, SC. Although a convenient place to house ducting and H.V.A.C., this is also problematic when having anything but a pristine Crawl Space. Mold Inspections and Mold Testing over the years has revealed that three out of four Mold Tests I have completed in Crawl Spaces do come back positive for Mold. 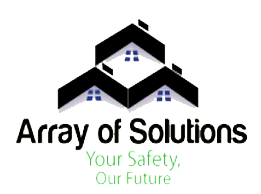 Call me, Doug at Arrayofsolutions.com 864-710-6413 for a free phone consultation. We offer Mold Testing and Mold Inspections at a fraction of the cost of competitors. We offer discounts for seniors, Veterans and Disabled.